Are you looking for private yacht charter in San Diego? 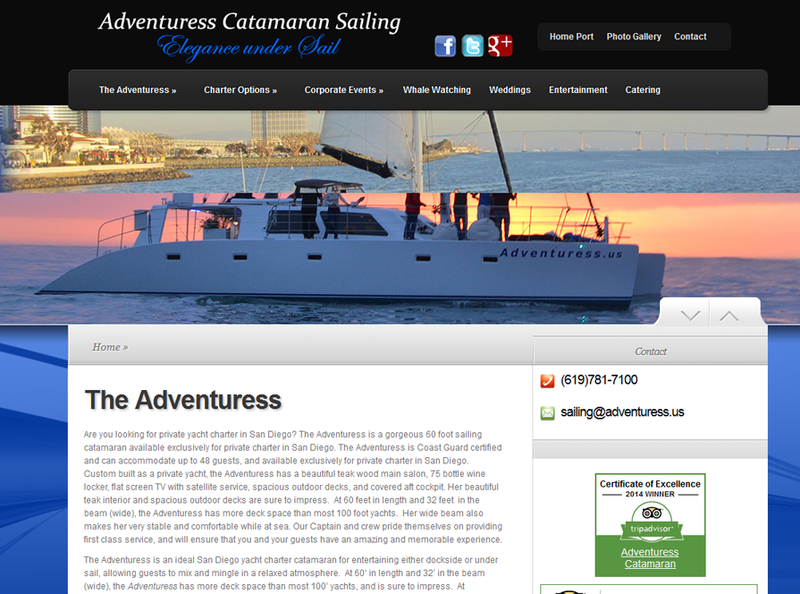 The Adventuress is a gorgeous 60 foot sailing catamaran available exclusively for private charter in San Diego. The Adventuress is Coast Guard certified and can accommodate up to 48 guests, and available exclusively for private charter in San Diego.